When droughts strike, our concerns have almost always been limited to those of human society, how a dry growing season might diminish that autumn’s crop yield or how long-term drought might affect water supplies for drinking water and irrigation. But as climate change has exacerbated droughts, making them hotter, last longer, and extend over larger areas of land, there is a growing awareness that, besides human society, ecosystems worldwide are placed in increased vulnerability in a hotter and dryer world. To this end, a team led by ecologist and paleoecologist Shelley D. Crausbay and biologist Aaron R. Ramirez has defined a new type of drought, ecological drought. In a paper published in the December, 2017 issue of the American Meteorological Society journal, the scientists explain that this more severe type of drought increases the vulnerability of ecosystems, with greater implications for human populations, which rely on the resources and services these ecosystems provide. 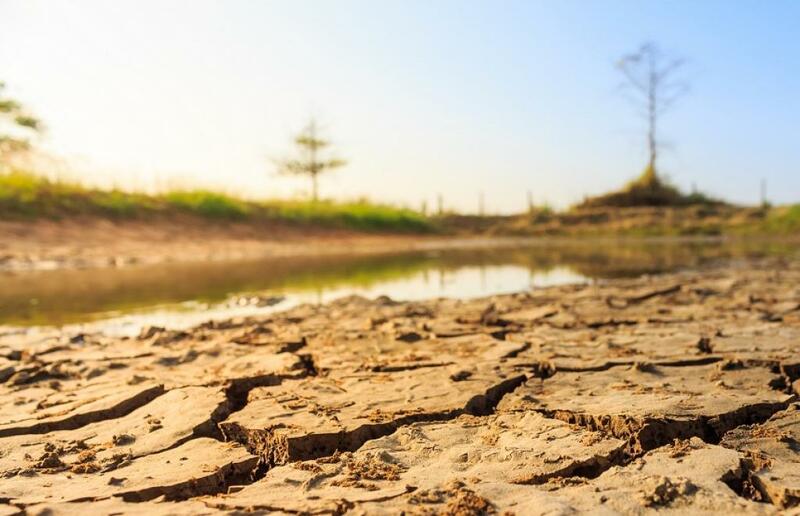 Current drought research management and policy do not often consider the effects that drought has on ecosystems nor how an ecosystem under stress of drought may diminish the resources and services they provide to human society. A quick review of research papers concerning drought shows them concentrating on the causes of droughts or the effects of drought on crops, but little else. As the authors point out, a framework that excludes the effects that drought may have on a biome will often lead policy and decision makers into an “either/or” mindset, pitting the water uses of humans against the needs of ecosystems. Residents of the US state of California are familiar with this conflict, when drought brings about debates over the agricultural demands for water versus the needs to maintain water levels sufficient in the Sacramento River Delta to maintain the population of the delta smelt, a small endangered fish that lives in the freshwater/saltwater intermixing zone of the delta. Crausbay points out that the smelt could be an indicator species for the health of the entire waterway. By disregarding the fish, the entire ecosystem, and the people who rely on that ecosystem, could suffer. The authors offer insights into how humans can enhance the ability of an ecosystem to withstand the stress of drought through adaptations in resource management. During severe drought, tree mortality is higher in denser forest stands. By adjusting forestry practices, reducing basal areas in these denser stands, tree mortality can be mitigated. In the US state of Montana, they are finding ways to mimic the effects of beavers, which have been extirpated from many areas. Beaver dams slow down the flow of water and let it pool. The resulting wetlands replenish groundwater. “People can imitate the beaver dams by piling rocks in streams. It’s simple; it’s just stacking rocks. This makes the land work like a sponge, holding the water.” Crausbay says. The authors also emphasise what they call ecosystem services: fisheries, tourism, erosion control, and other benefits provided by the natural world. Ensuring that the water needs of an ecosystem are taken into account and not viewed as a competing demand will help ensure that these ecosystem services will not suffer inordinately or disappear entirely because of a long-term or severe drought. As longer and drier droughts become more prevalent, the National Climate Change and Wildlife Science Center notes that ecosystems that have been altered by humans are more vulnerable to the strains of drought than they previously were. As they look at different regions of the United States, they see shared challenges and challenges unique to each region—from “snow drought,” which includes decreased snowfall and a shorter snow season, in Alaska, to the Hawaii islands, where invasive species tend to be more fire-prone during droughts.